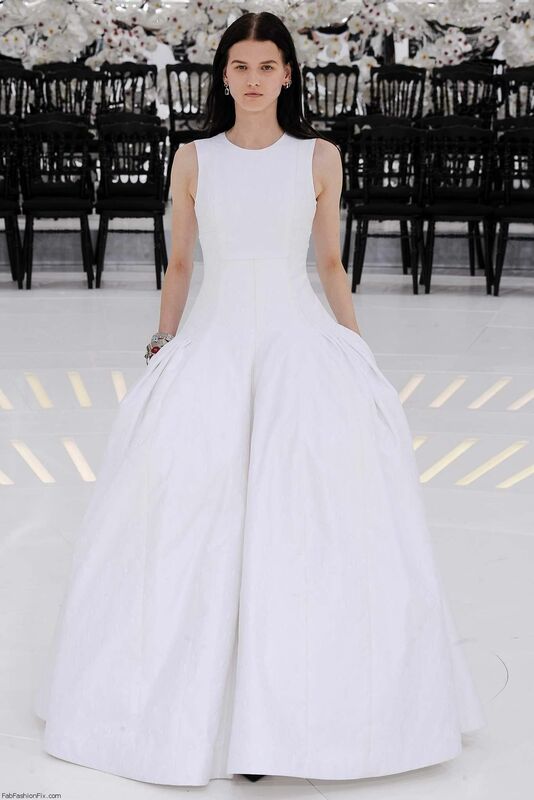 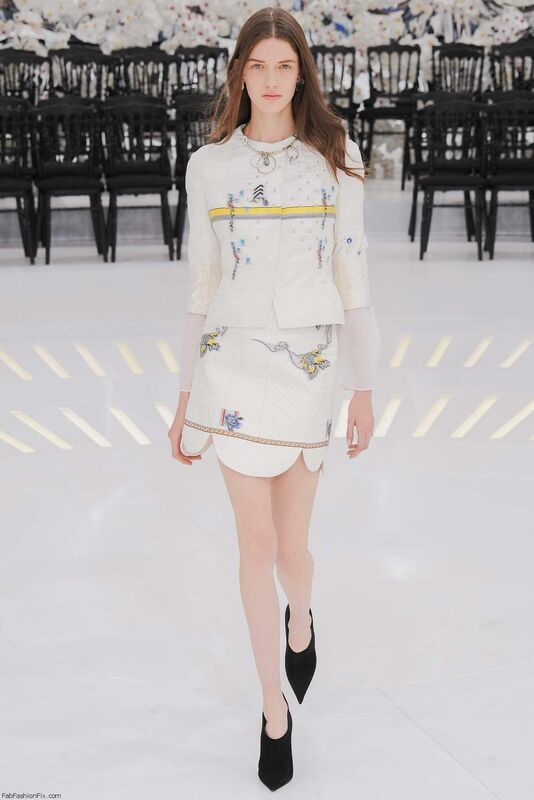 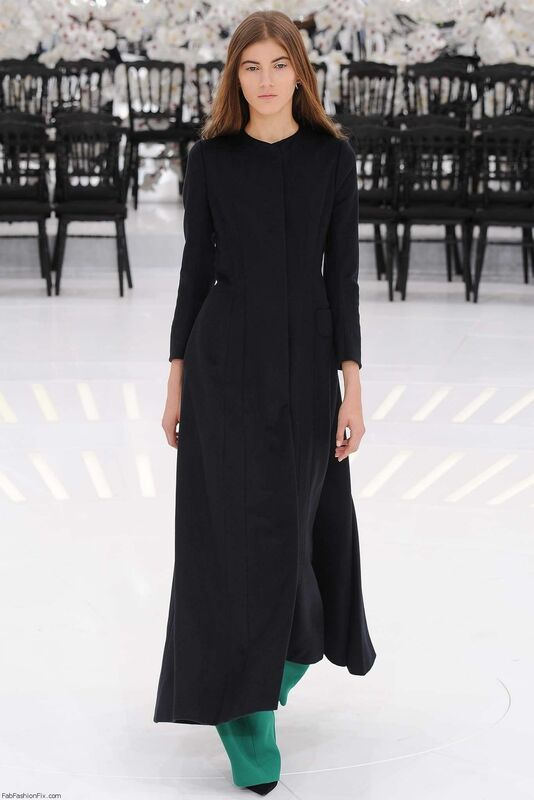 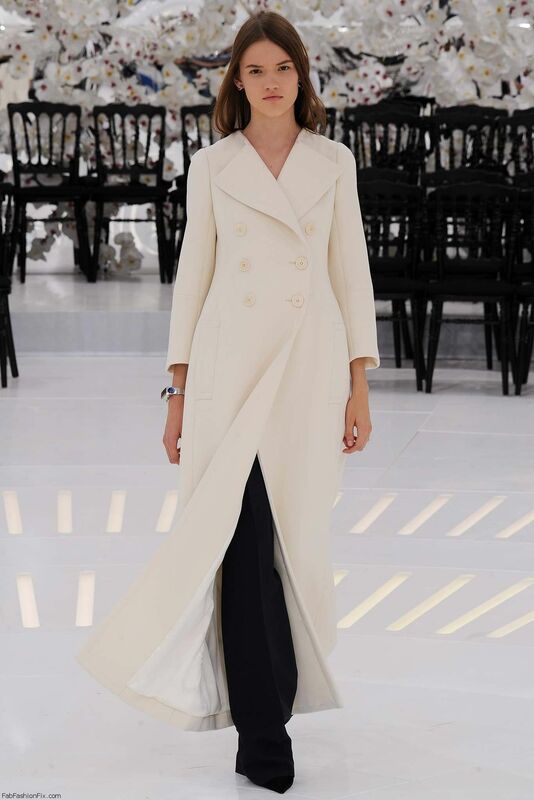 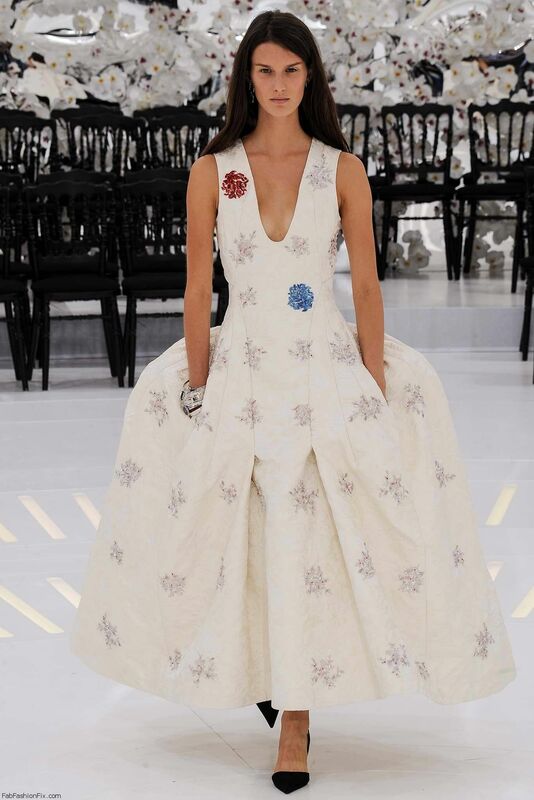 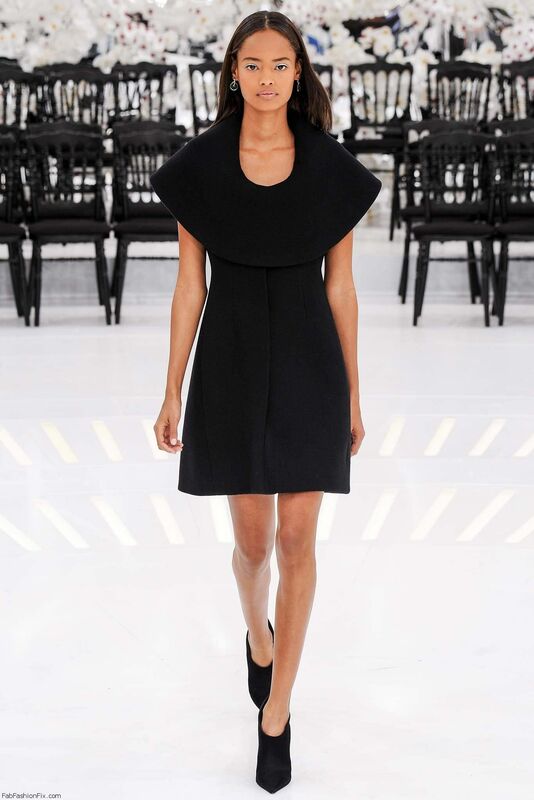 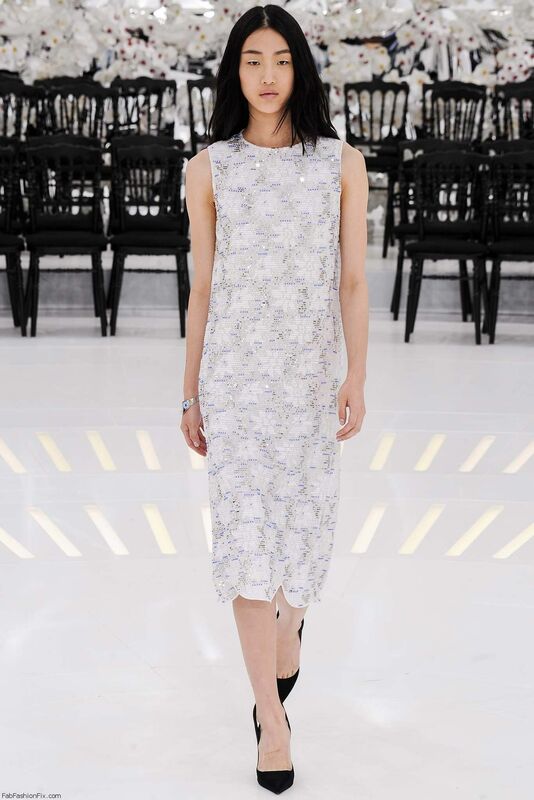 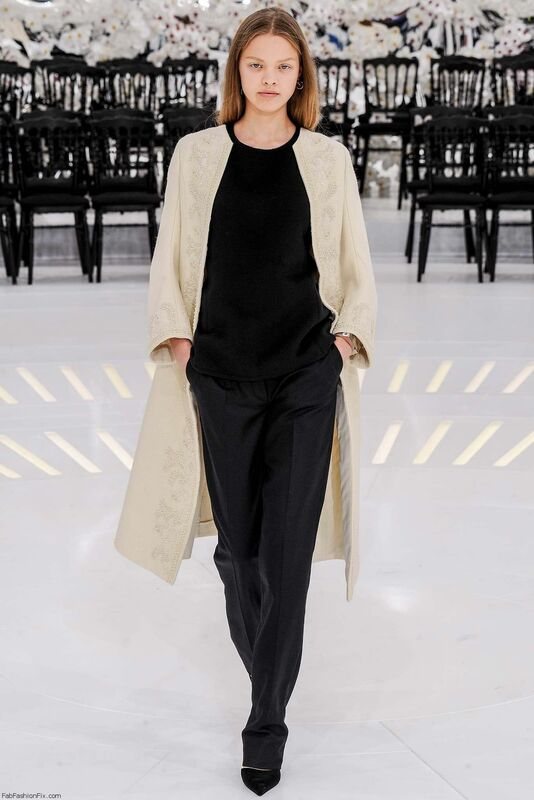 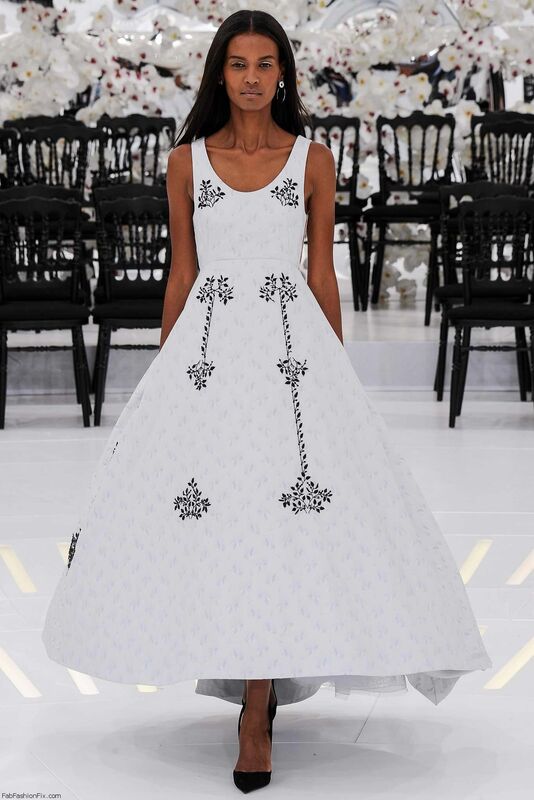 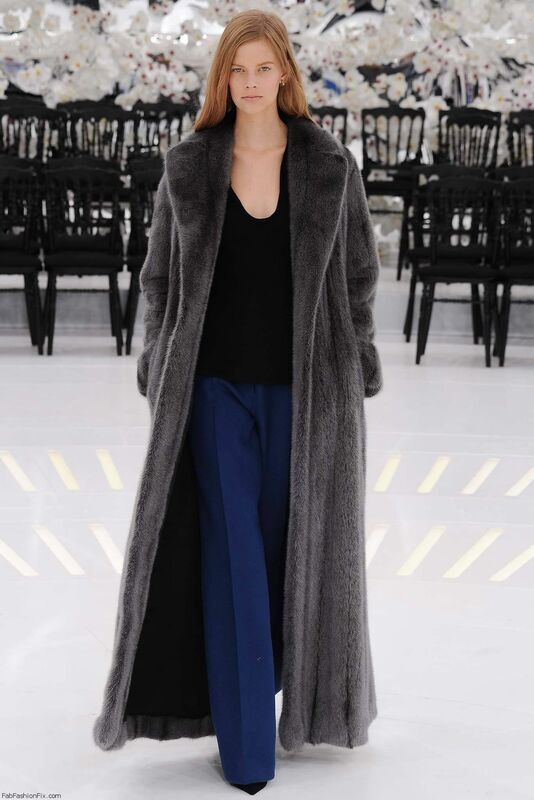 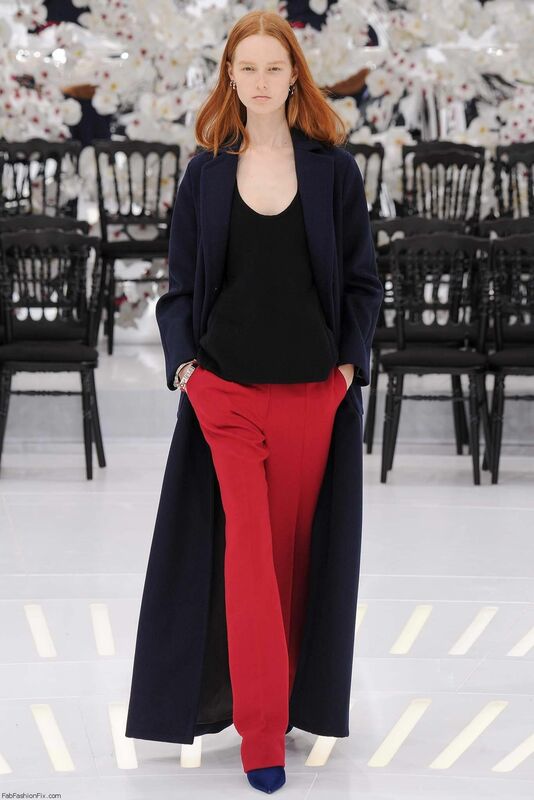 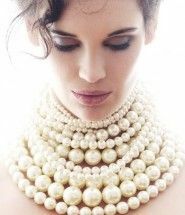 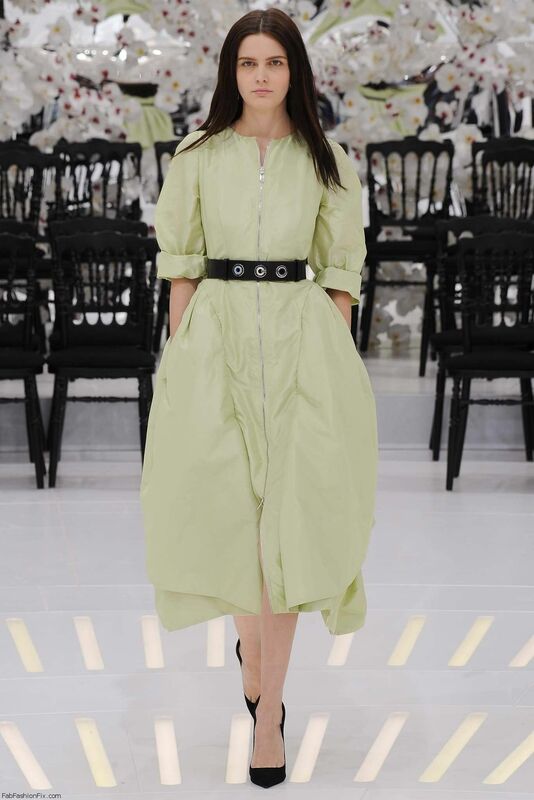 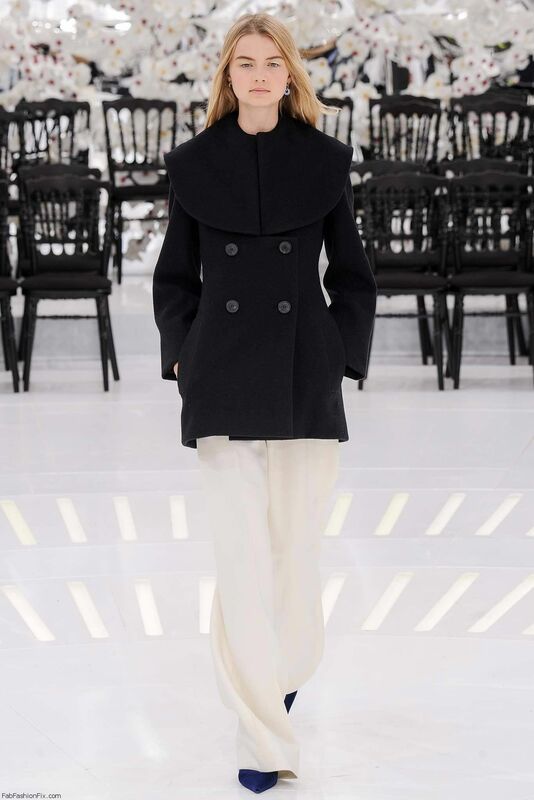 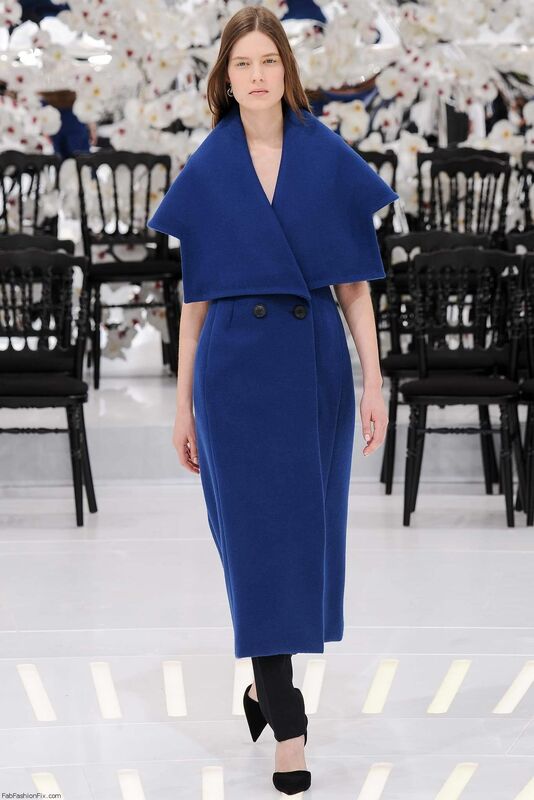 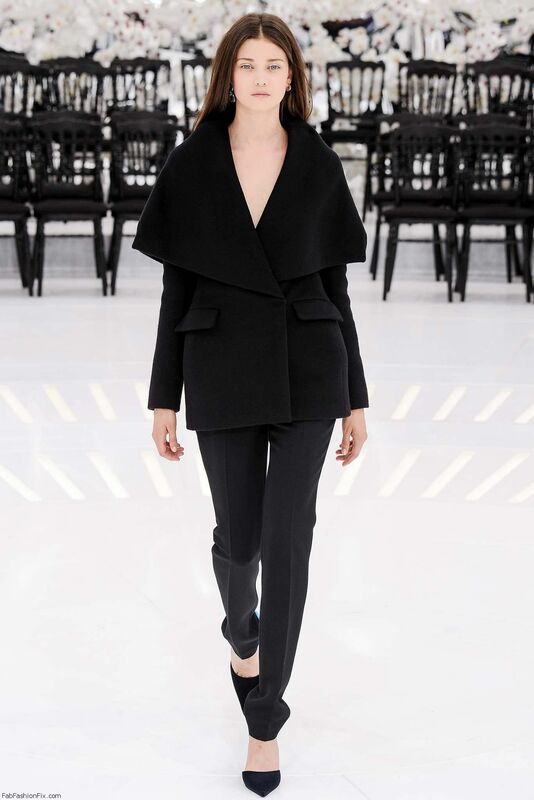 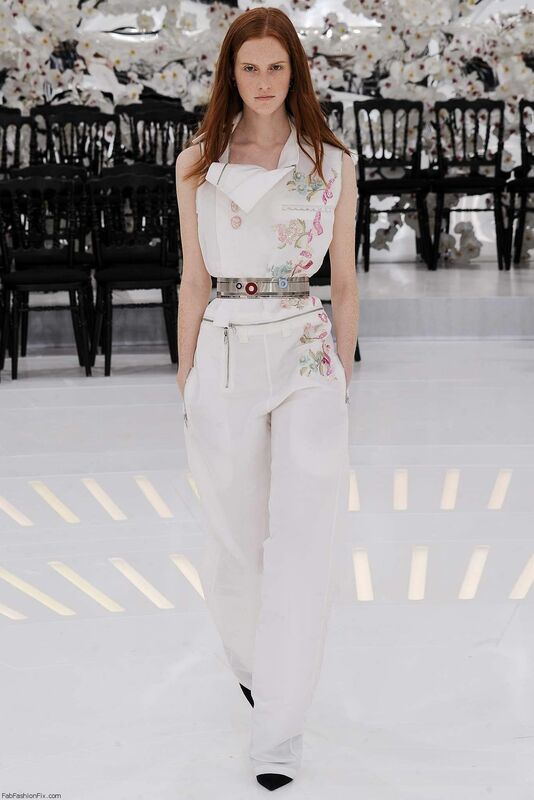 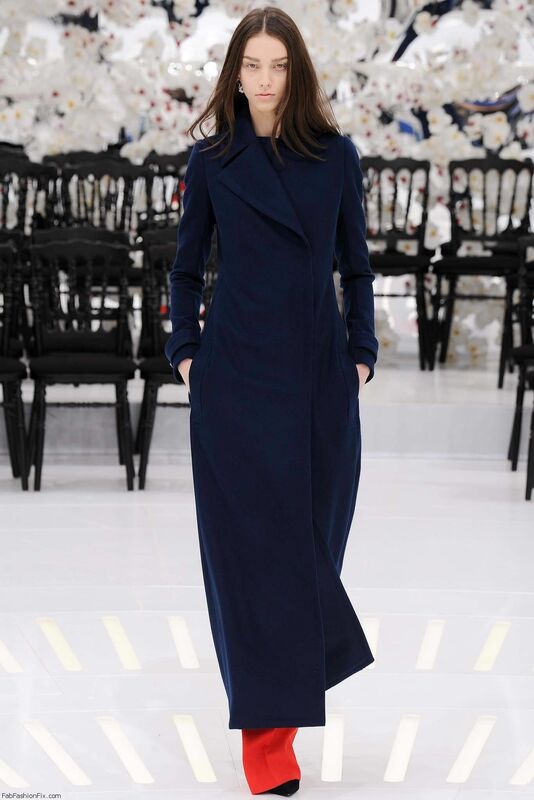 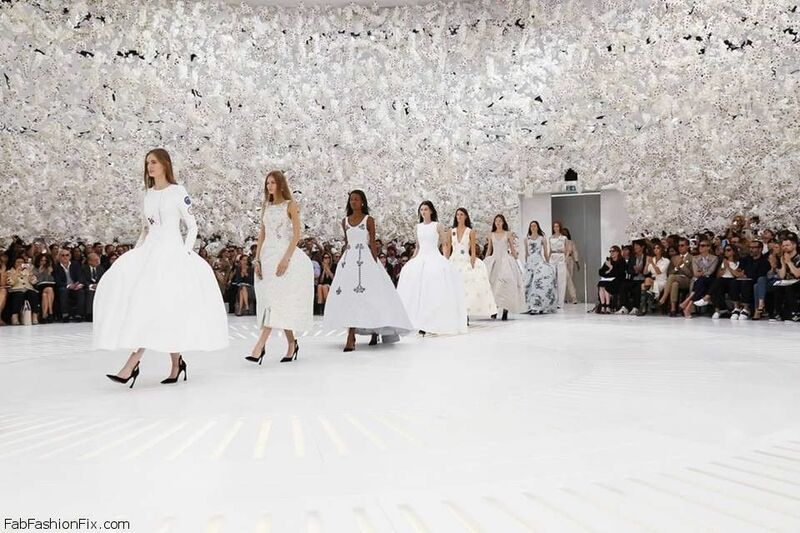 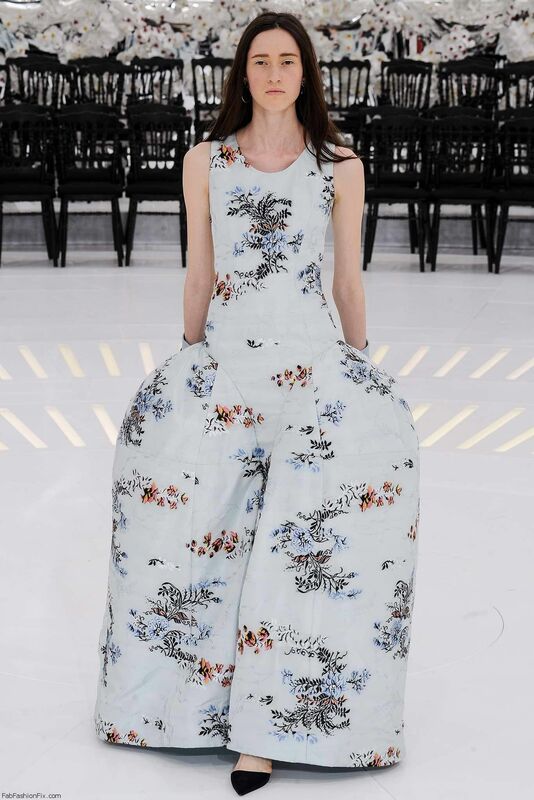 French luxury fashion house Christian Dior presented their Haute Couture fall 2014 collection this afternoon in Paris. 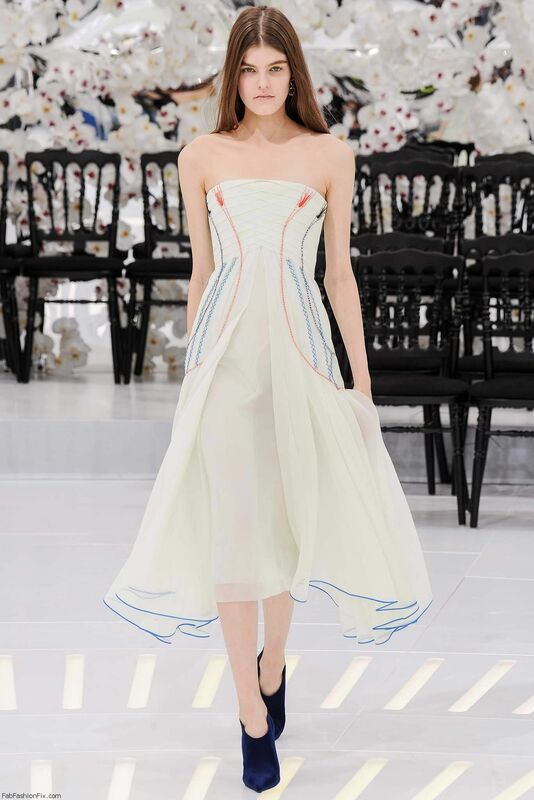 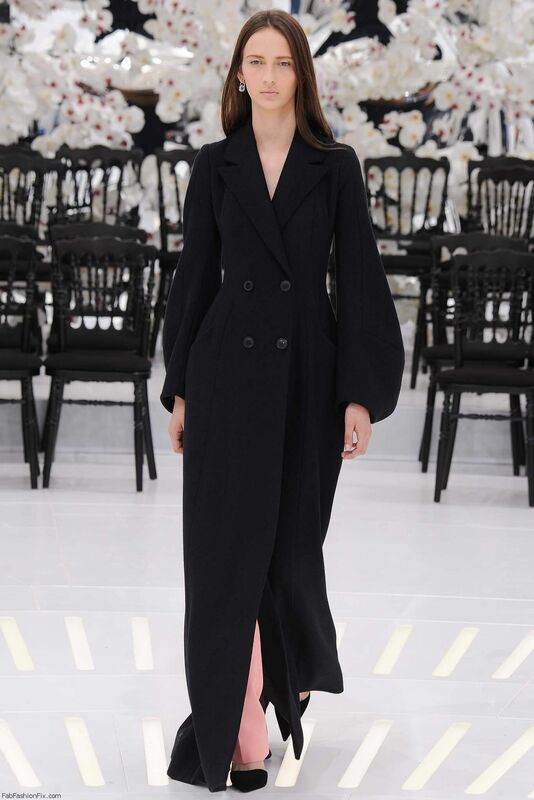 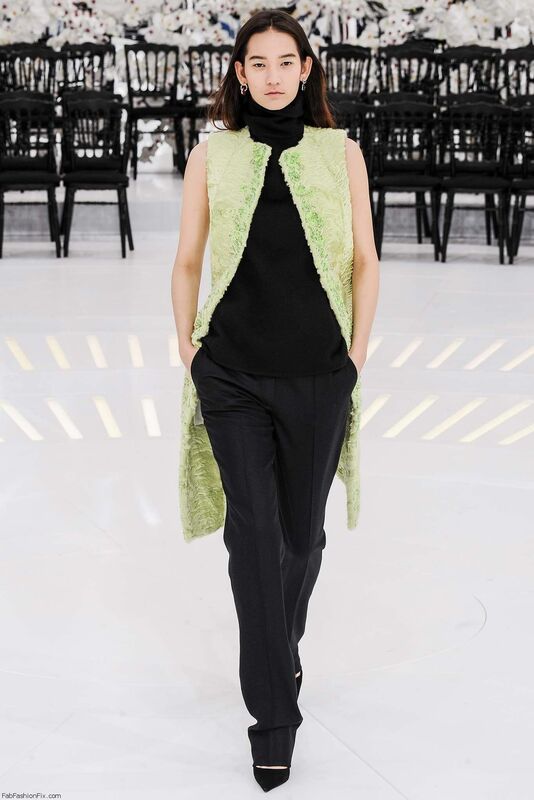 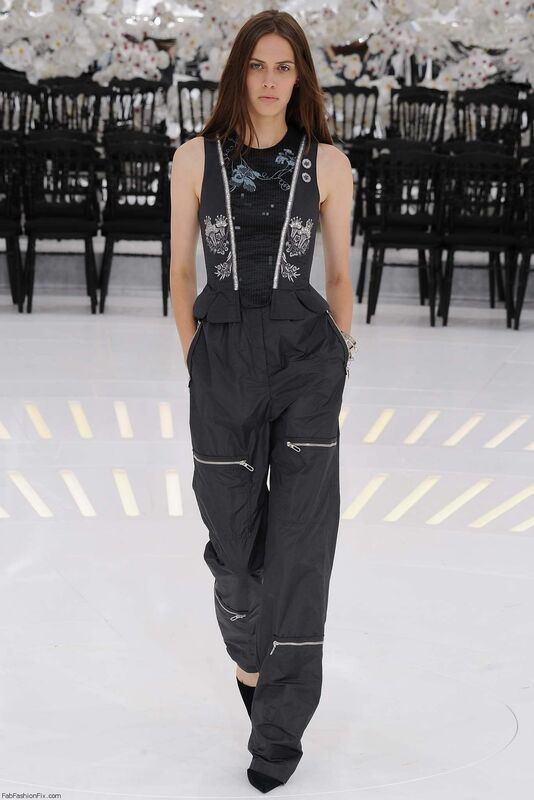 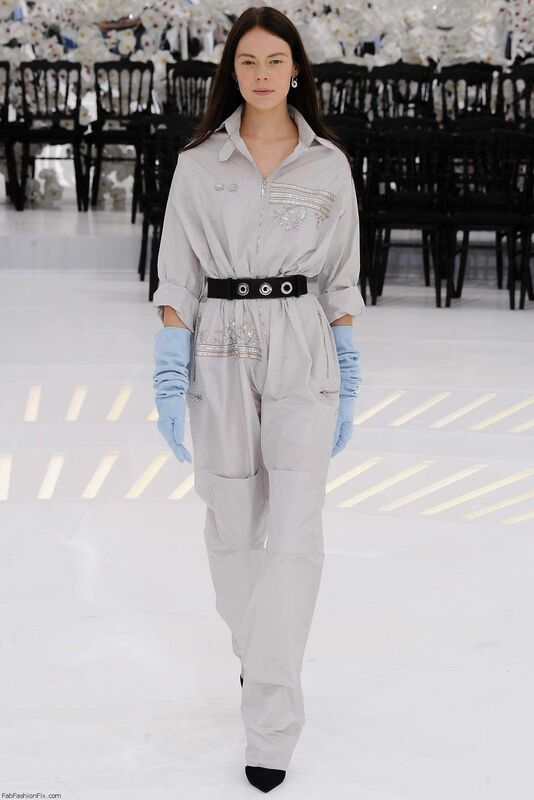 Creative director Raf Simons designed more balance and elegant collection, inspired by an exploration of the past combined with ideas of a near future, to look for what it means to be modern in the contemporary haute couture world today. 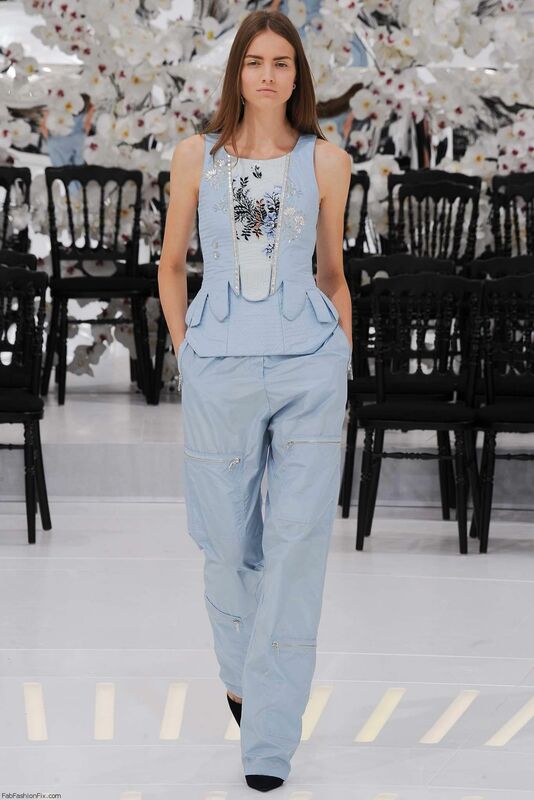 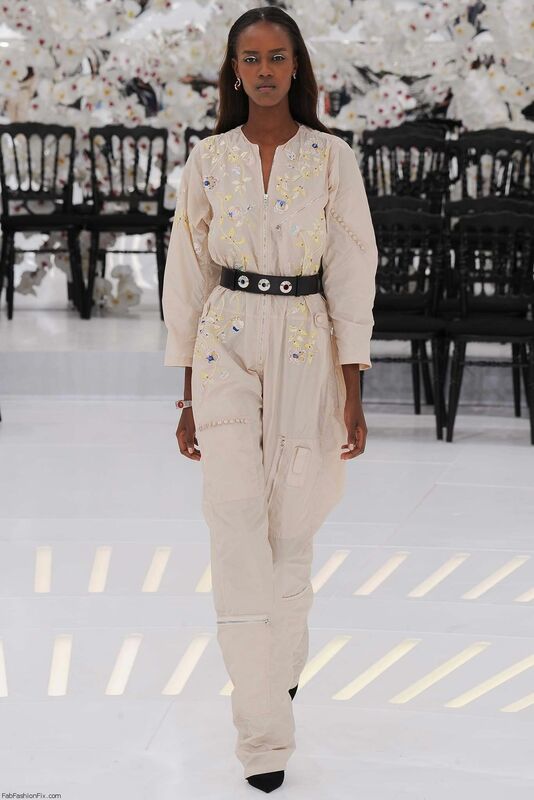 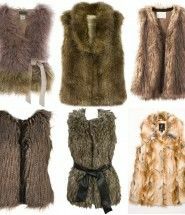 There was an obvious ethereal and easy going vibe all through the collection. 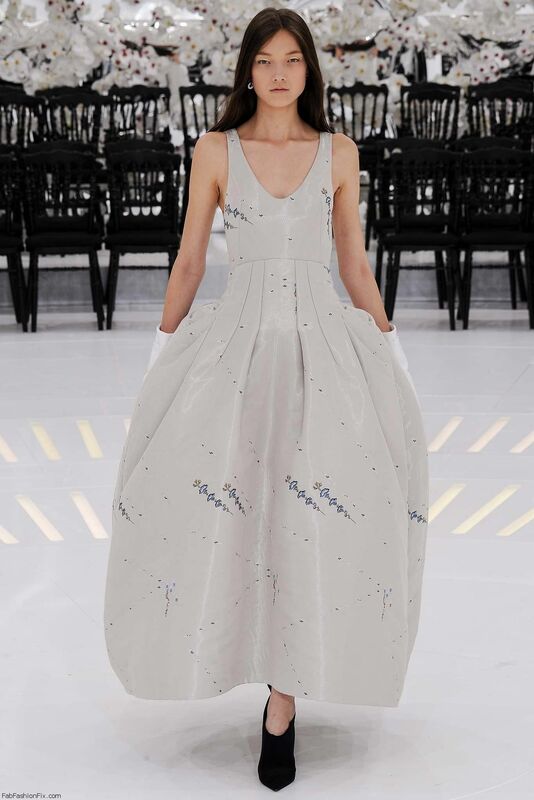 Simons stated: “I was interested in the process of finding something extremely modern, through something very historical; particularly through a juxtaposition of different themes,” explains Raf Simons.“The historical inspiration is not the justification of the collection, it isn’t its entire meaning. 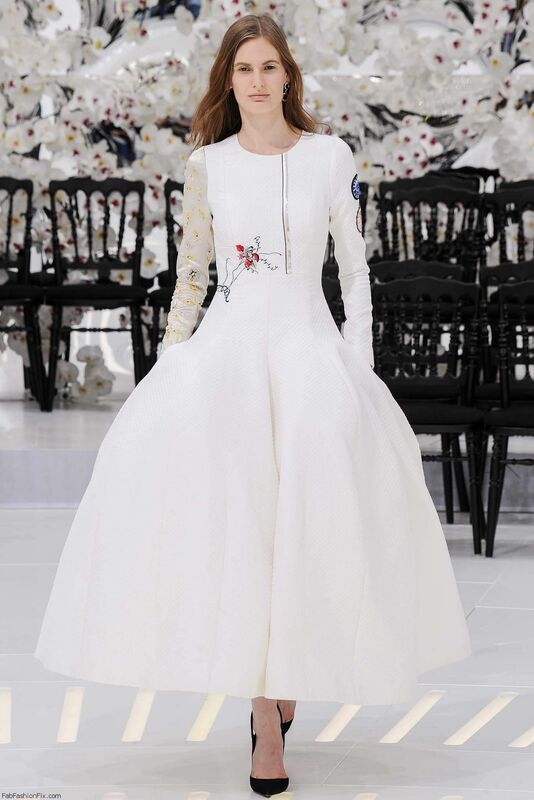 What I was attracted to was an idea of architectural construction – that is a very Dior attitude – and how the foundations of one era are based on another, how the future is based on the past; that is what I found fascinating.” The show featured eight distinct sections, each a variation on a theme – Robe a la Française; Flight a la Française; 1910s Linear; Bodice meets Jacket; Justacorps and Gilets; 1920s Liberated; Collar meets Bar; Techniques, Pleats and Systems. 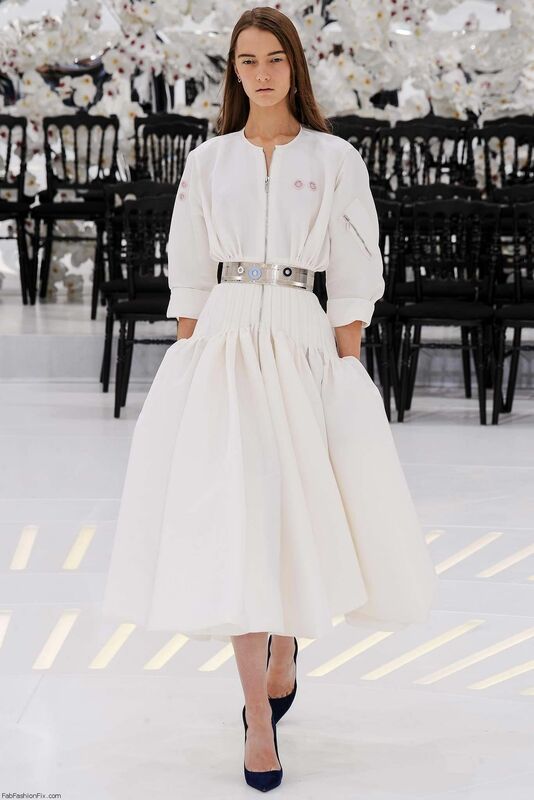 The collection pushes the couture atelier to the extremes in its utilisation of a plethora of traditional techniques and their modified applications.